Happy Valentine’s Day! I made these cookies yesterday to hand out for Valentine’s day. They were outstanding! Of course, how can anyone go wrong with a recipe based on oeey gooey butter cake? I’ve made gooey butter cake and gooey chocolate cookies and ooey gooey butter cookies. So, why not some red ones for Valentine’s day? I’m still searching for a Red #40 alternative. Paprika extract seems to be much more scarce than red dye here, so we will work with what we got! I found this quote really inspirational and had to share it with you! *If you want to have the “pretty cookies”, mix only about 3/4 of a cup into the cookie dough and leave out 1/4 cup. Once the cookies have come out of the oven, you carefully place some chips on top. 1. Preheat oven to 350. First make sure you use a Kitchen aid mixer or some mixer that is powerful. I used my mixer that I normally use for frosting and small stuff and the whole mix was so thick that it never mixed. Instead the cookie dough worked its way up my beaters and into my mixer! So, I poured everything into my Kitchen aid mixer. 2. Beat the cream cheese and butter for 1-2 minutes on medium. 3. Add the egg and beat until combined. Scrape the sides of the bowl to make sure everything is mixed. Add the vanilla. 5. The dough is rather sticky. You can bake now or refrigerate it for an hour and it will be less sticky. Drop by rounded teaspoonfuls. I used my small cookie scoop. Bake 10-12 minutes. Cool and eat! oh yeah, now those are some yummy looking cookies! I love it when I have all of the ingredients in a recipe! 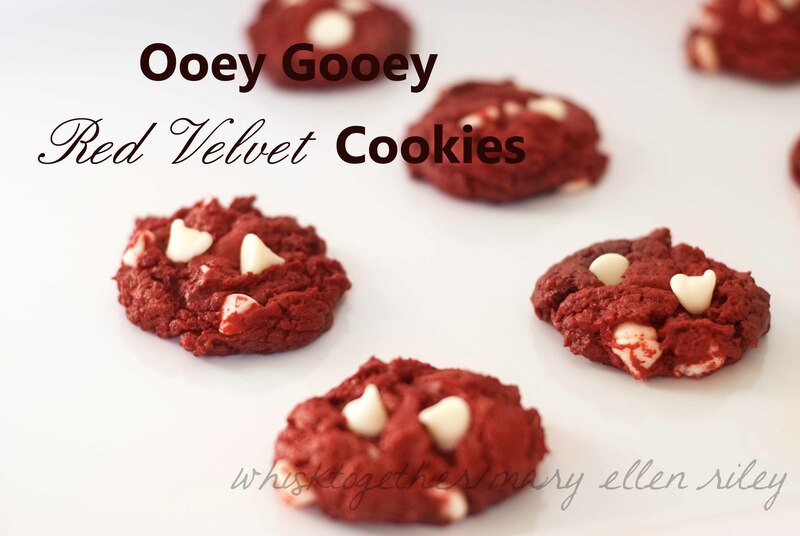 I made these today and they are GREAT!!! Thanks for commenting! I love hearing what others think of recipes. I’m glad you liked them!